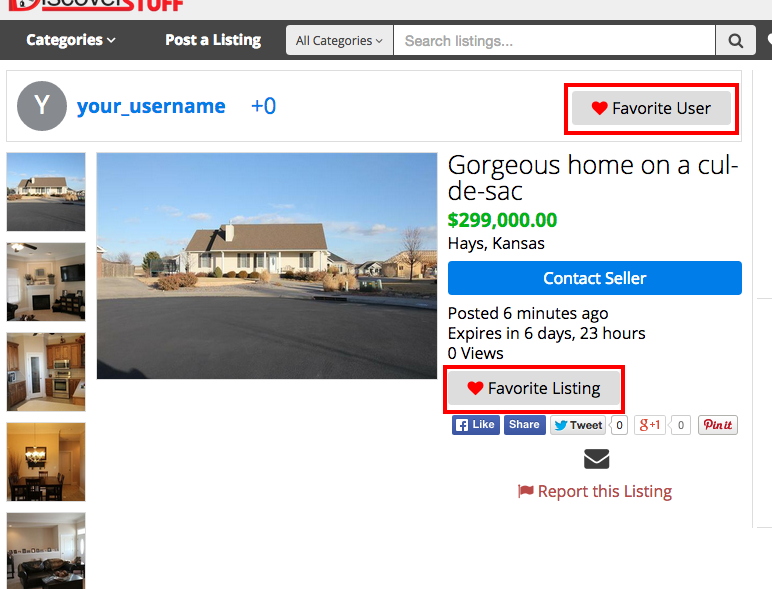 Favorites are a feature that allows you to easily keep track of listings or users. Essentially, Favorites 'bookmark' listings or users. 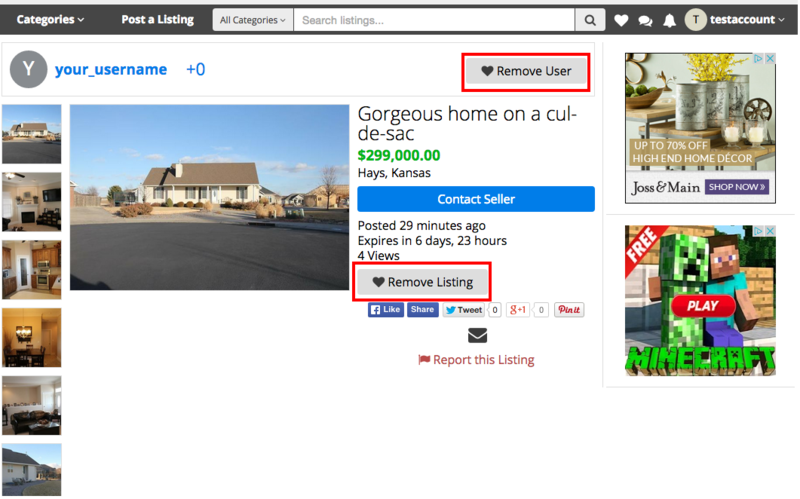 This can be helpful if you are interested in multiple listings, but do not want to have to dig to find them again, or to go back to a user and see all their listings. After making sure that you are logged in, go to a listing that you would like to add to your Favorites. After you have found the listing, click on the Favorite Listing or Favorite User link. After you have clicked on the Favorite Listing or Favorite User, you will want to click on the Heart logo which is located at the top right of the screen. You should now see all of the listings in your Favorites. If you would like to remove a listing from your Favorites, you can simply click on the Remove link located in the right margin of the list for the individual listing. You can also remove a listing or a user from the listing detail page. Click Remove User or Remove Listing button.